Made from cotton velour for breathable comfort. Eight vertical stays in back for trunk support. Six interlocking straps for a secure fit. Provides lumbosacral support and protection. A physician and patient favorite. The M-Brace Castor Back Brace #572 is a cotton-velour model designed to provide enhanced back stability and support with all daily activities. This product features eight vertical stays in the rear which surround your back to provide total contact and excellent stabilization of the trunk and lumbosacral support. 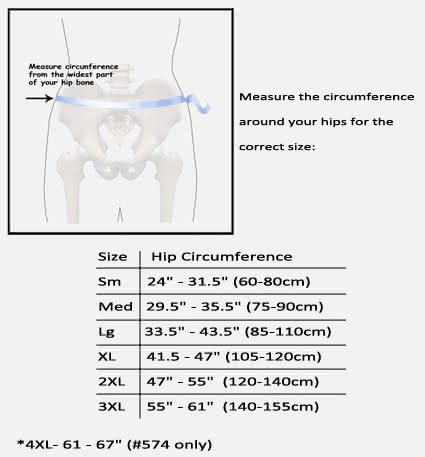 M-Brace Castor locking straps further increase abdominal compression and enhance the support provided by the stays. 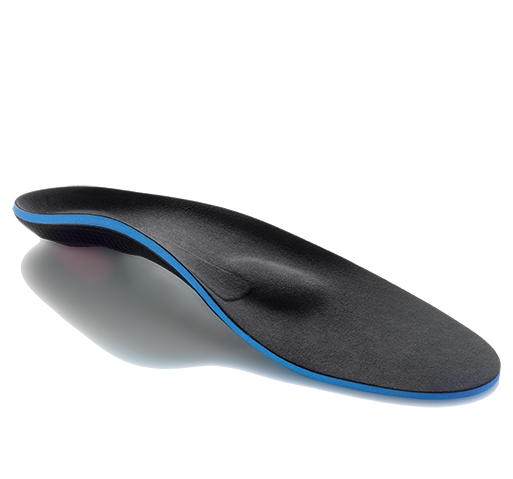 Patients and physicians appreciate the way it fits like a glove for providing comfort and all day support. Unlike more conventional models, the 572 breathes and provides comfort for anyone wearing the device for the entire day. The M-Brace Castor back brace is designed to help patients suffering from chronic low back pain, spinal stenosis, and more. For support and protection the feels good against your skin or over existing clothes, this is a great product for use with any activity. Eight flexible steel inner stays covered with plastic for support. The #572 does NOT feature thermomoldable plastic panels. Conforms to any body shape. Front 8" high, back 13" high. Can be worn under or over existing clothes. Flexible stays become extremely stiff and supportive when locking system of straps are pulled and secured. User friendly and adjustable locking system. Practical and easy to fit. Can be worn 24 hours a day. Lumbago, Sciatica, Discopathy, Hypo-Lordosis and Ischialgia. Low Back Pain and Degenerative disc/Herniated disc injuries. Light traumas of the lumbar-sacral column. 100% cotton velour construction for premium comfort. Eight flexible stays in the rear provide ample low back and abdominal compression. I've been having progressive lumbosacral pain that is inhibiting my standing more than ten minutes or taking short walks with my dog without needing to sit down for a few minutes. I bought this brace and it has done wonders in allowing me to stand longer and to walk farther without discomfort. The only down side for me is needing to wear a a cotton undershirt beneath the brace as recommended in the instructions for use. I find the brace will slip down, requiring me to rearrange it and tighten up the straps which isn't a big problem in my own home but not so practical to do when out in the public. Because of this I rated it 4 stars instead of 5. But that said it does make me much more comfortable which was my goal in purchasing it. This brace fits perfect and it is comfortable. Its light and very supportive of my back. I just recently had spinal reconstruction surgery and this brace has helped me quite well, I can wear it all day if I have to but I only use it to go do physical therapy and to run some errands. I will definitely recommend it to any one who suffers of back problems. With a bulging disc in my lower back and a demanding law enforcement job, wearing a gun belt for 51 hours per week, can be horribly painful. But the job must go on. Since getting this item, my lower back feels so much better as do the pinched nerves caused by the bulging disc. I comfortably wear the brace under my uniform, which helps support my lower back and protect it from futher harm. I would recommend this item to anyone that experiences pain from a back injury. In my case, I was run over by a car while on duty. 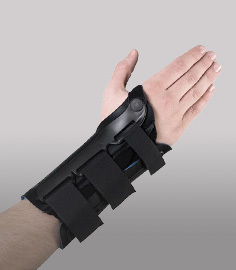 Once I put the brace on for the first time, I felt immediate relief. Excellent product. Review by Chris G.
This was a great purchase - what a comfortable back brace. The compression is very good and the amount of support it provides for my low back is also excellent. Would definitely recommend to others. This Castor brace is the best one by far for lower back issues. It is comfortable for all day wear, fits well under clothes so that you don't have to be on display, yet it allows you to still function. The three adjustable straps are what really set it apart from some of the other braces out there. 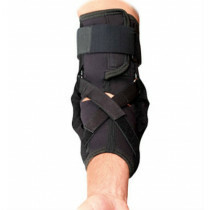 You feel the way the brace moves and tightens or loosens as you adjust the straps one by one. You can pull them tight to really lock down an area or you can adjust it to be loose depending on what you need at the moment. The brace is very wearer friendly allowing your body to breathe, move around and still provide plenty of support. The #572 Castor might be a little expensive but trust me, it is worth that and much more. Thank you for the great support and fast delivery. Helps me to keep going with herniated disks L1>L5, and with little or no anti-inflammatory medications. Light enough to wear discreetly on top of a T-shirt and under my clothing. Comfortable enough to wear 10 hours a day.  M-Brace believes that the best way for you to select and purchase a M-Brace brace is at one of its authorized online stores of which DME-Direct is one. Only in these stores can you be sure to find the latest M-Brace collection and ensure you are getting a genuine M-Brace product with the manufacturer's full warranty. M-Brace therefore recommends that you do not purchase a M-Brace item through any website, unless it is an authorized M-Brace dealer. We are a M-Brace Authorized Dealer and can assure you a safe and pleasant shopping experience here at our website as if you were at our wholesale distribution premises in Valencia, California. Some non-authorized sites sell counterfeit, second-hand merchandise, and/or products containing old fabrics, glues, and resins that do not perform as intended, and are therefore, not eligible for care under the M-Brace warranty. Others do not offer the original M-Brace warranty, nor do they offer any after-sales service of any kind. M-Brace takes great care to ensure that all M-Brace authorized dealers offer you the very best products and service. Please take advantage of the peace of mind that only they can offer to M-Brace purchasers.